It’s been nearly forty years since the first Star Wars film, yet the popular story line and characters created by George Lucas live on. With the long-anticipated seventh installment of the epic saga to be released in December, many of the costumes used in the original films have become popular attractions in a traveling exhibition sponsored by the Smithsonian Institute. 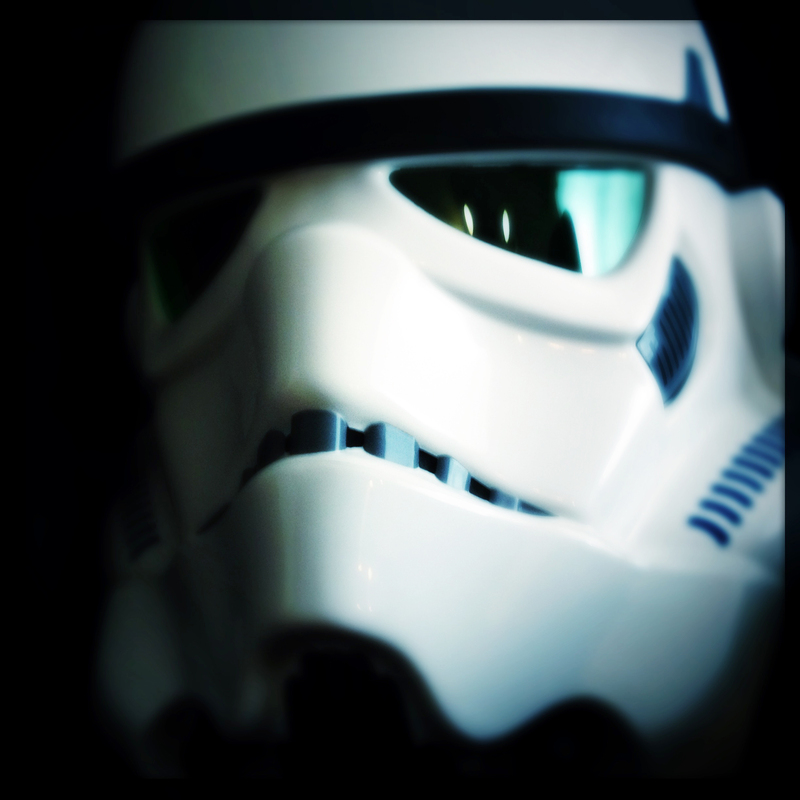 Many of the most memorable features of the Star Wars films, such as the uniform of the stormtrooper, the helmets and the droids, were created with plastics. 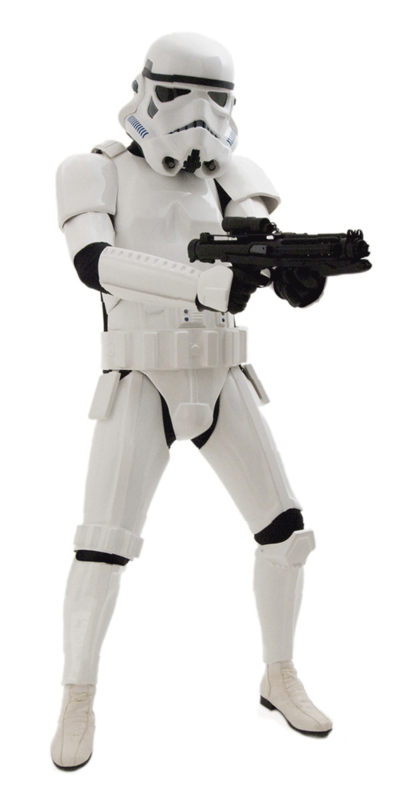 The popular Stormtrooper costume was originally made from high density polyethylene, but was later changed to ABS. Costume makers generated dozens of identical suits of white armor, which were vacuum formed in ABS. In 1976, when the first movie in the Star Wars series was being created, vacuuming forming to create movie costumes was not common. In fact, part of the reason much of the filming of the movie was done in England was so that Lucasfilm would be near a specialized plastics manufacturer who could help them bring their dreams to life. In order to find someone who could accurately depict the helmets of the stormtroopers as Lucas visualized them, the corporation had to find a company working in plastics, not costumes. The company eventually commissioned to help with the manufacture of the costumes specialized in molding plastic and making ponds. Star Wars has been said to be the first film to use vacuum formed ABS plastic for costumes. The original helmets of the stormtroopers were created from a high density polyethylene material that was khaki-colored. However, HDPE did not provide either the durability or the look Lucas envisioned, even when painted white. Although Lucasfilm was forced to use several of the high density polyethylene helmets in the filming, the white ABS helmets were the ones used for all close-up shots. Movie watchers can distinguish between the HDPE and the ABS helmets if they look closely, as the ABS helmets were more challenging to structure than the high density polyethylene helmets. Boba Fett’s armor was also vacuum sealed and complemented with a glass fiber-reinforced plastic backpack and helmet. After the first Star Wars film, the strategies developed by the costume crew were used throughout the world of film. Characters such as Robocop and Iron Man have their armor based on the pattern used by Lucasfilm. The primary difference is that modern molded costumes are produced using 3D printing technology. The droids in the film were made primarily with a fiberglass base. C-3PO was made out of fiberglass and plastic. The costume was made into a costume that could be worn partway into the filming. The shell appears to be polished metal, but is in reality vacuum formed ABS and glass fiber-reinforced plastic. The use of plastics in the material helped to reduce the costume’s weight and to alleviate the discomfort of spending hours every day in the desert being filmed. R2-D2 was built from aluminum for the first Star Wars film. Subsequently, the droid was built out of lighter-weight fiberglass. An interior lining was installed to protect the actor inside from the fiberglass ends. Head-to-foot shiny black armoring has rendered Darth Vader one of the most distinguishable icons of the Star Wars world. Fiberglass was used to build the flared helmet, attached to a face mask made out of rugged plastic. A secondary version was designed for scenes requiring a large range of vision. This second vision was built out of a black plastic that is see-through, allowing the actor to use his peripheral vision for the stunts in the movie series. 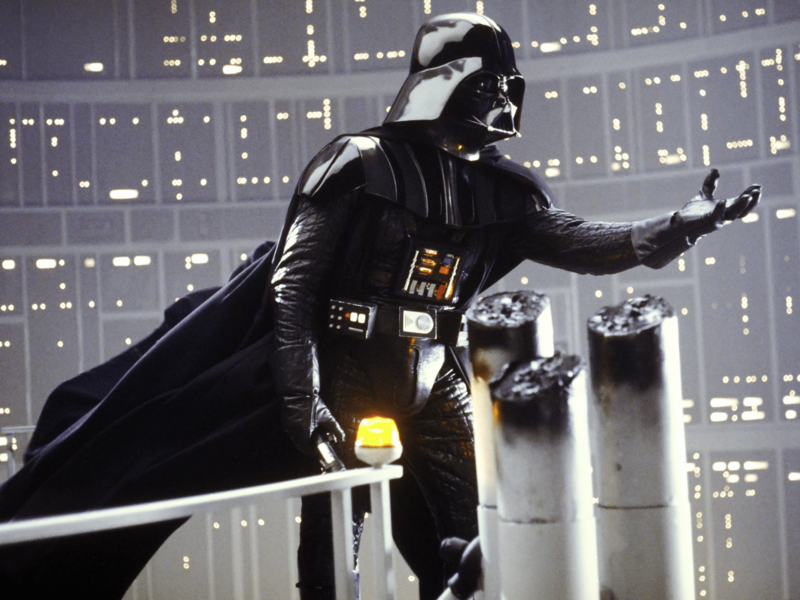 Darth Vader’s appeal primarily comes from his iconic armored look–the costume has become the character. The Burlingham family was one of the founders of the Association of Rotational Molders (ARM) in 1976. Bill and Peggy owned and ran El Monte Plastics for the past 41 years up until Bill’s passing on November 24, 2008. Bill loved music, old cars and many various formal oragnizations. He was an advocate for Rotomolding and helping new rotomolders to grow their business. 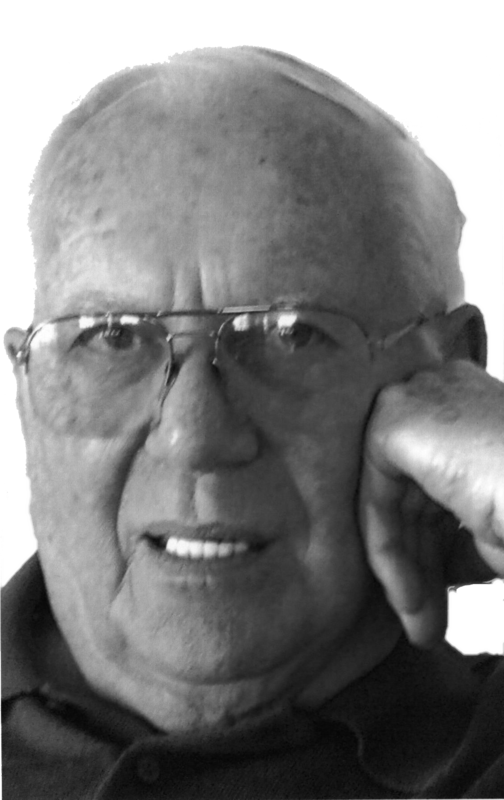 His warm smile and friendly welcome was synonymous with the ARM meetings and Bill firmly believed that in order for rotational molding to survive, it needed to be expanded across the country along with increasing applications for its use. El Monte Plastics began in 1968 with the Burlingham and Kite families because of a need for plastic folded RV tanks in South El Monte, CA. There were more than 10 RV manufacturers in the city and the RV industry was booming. El Monte Plastics grew rapidly until 1973 when the gas crunch hit. Peggy tightened the finances and worked hard through the tough times until the late 1970s when shipping costs rose. Having spotted their opportunity, the Burlingham’s started up a Midwest molding plant in Ohio City, OH to service their largest client, Fleetwood Industries. Bill traveled back and forth between Ohio and California staying months at a time in order to build a team that still exists today. The Burlingham’s had success in bringing their son Paul Burlingham into the industry with his own rotational molding business in Chino, CA, Spin Products along with their nephew Michael Kite with Freeflow Products in Ontario, CA. Bill Burlingham will be long remembered for his upbeat and positive attitude and the way he made things fun for everyone around him. He belonged to the Rotary Club of South El Monte, the Pasadena Model A club, his church’s men’s breakfast group and a number of other service organizations. Some of Bill’s employees were employed by him for over 35 years which says a lot about what kind of man he was. Bill Burlingham was a great man and his entrepreneurial spirit inspires us to continue doing what makes this nation great.